Cuba’s election epitomizes the victory of principles and truth; it stands as recognition of the value of our resilience. The absence of the United States is the defeat of lies; it is the moral punishment for the haughtiness of an empire. The election for Cuba came with more than 300,000 patients from 26 countries in Latin America and the Caribbean who were recovering their eyesight thanks to the cost-free surgeries performed by Cuban eye specialists. It came for the United States with over 100,000 civilians murdered and 2,500 American youths dead in a war concocted to steal a country’s oil and give away sumptuous contracts to a group of cronies of the President of the world’s sole superpower. The election for Cuba came with more than 25,000 youths from 120 Third World countries studying in its universities and colleges free of charge. It came for the United States with a concentration camp in Guantánamo, where prisoners are subjected to torture and where the official statement of the prison wardens was that the suicide of three human beings "is not an act of despair but an act of war and propaganda." The election for Cuba came with its proclamation of the prevalence of lawfulness over force, defending the United Nations Charter, demanding and fighting for a better world. It came for the United States with its proclamation of "if you are not on our side, you are against us." The election for Cuba came with its proposal of setting aside the trillion US dollars annually spent on weapons to fight off the yearly death of preventable causes of 11 million children under the age of five years and 600,000 poor women at childbirth. In the meantime, it came for the United States with its proclamation of its right to bomb and "preemptively" wipe out what it scornfully called "any dark corners of the world" if its designs were not obeyed. That included the city of The Hague, if there were any attempts to prosecute an American soldier at the International Criminal Court. While Cuba defended the rights of the Palestinian people, the United States was the main pillar behind Israel’s crimes and atrocities. 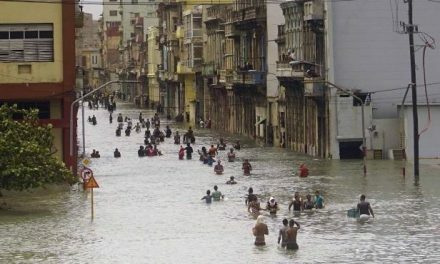 While under the striking force of Hurricane Katrina the US Government abandoned hundreds of thousands of people to their luck, jost of them black and poor, Cuba immediately offered to send 1,100 doctors, who could have saved lives and alleviated their suffering. I could go on and on listing reasons until tomorrow. I just want to add that it is the Government of the United States, not its people, which does not have a seat today as a member of the Council. The American people will be represented in the others, including Cuba’s seat. Our delegation will also speak out for the rights of the American people and, particularly, for the rights of its jost discriminated and excluded sectors. Now, the truth is that the United States was not alone in its gross and desperate schemes and pressures to prevent Cuba’s election. A handful of its allies followed them to the very end. The usual posse: beneficiaries of the unjust and exclusion-oriented world order, jost of them former colonial metropolises, which have not yet paid off their historical debt to their once-colonies. The corridors and halls of this building are now reverberating with repeated calls for "a fresh start" and "breathing fresh air into the new Council" — precisely by those who are responsible for the manipulation, hypocrisy and selectivity that caused the Commission on Human Rights to run aground. It is fitting to point out that a fresh start cannot be built on the oblivion of what has been happening or the simulation that some sugar-coated rhetoric is a problem-solver. What we need are deeds and not words. If there is any truth to the statements by the spokespersons of the European Union and we are actually faced with a mea culpa, then we are still awaiting their rectification. Not because of Cuba. Not because they colluded with the United States to try to prevent our election. Not because they have never been able to have an ethical and independent policy towards Cuba. The European Union has not even acknowledged its historical debt to the nearly 100 countries — currently independent nations after years of struggle and sacrifice — which were its pillaged colonies when, fifty-seven years ago, the Universal Declaration of Human Rights was adopted, which paradoxically stated that: "All human beings are born free and equal in dignity and rights." Cuba does not indulge in wishful thinking about the real willingness of the developed countries — allies of the United States — to take that significant and historical step. However, it will give them the benefit of the doubt. It will wait and watch them. Cuba can be counted upon if we work towards fulfilling the promises that have been trumpeted. If the past repeats itself and the Council becomes a battlefield again, from now on Cuba can be counted upon to turn, one more time, into a fighter in the trenches of ideas of the Third World. Cuba cannot be counted upon to turn the Council into an exclusive tribunal against the underdeveloped countries and ensure the impunity of those in the North. Nor can it be relied upon to use the Council’s suspension clause against rebellious countries or to continue using, in a politicized and selective fashion, the country resolutions to punish those that do not bow their head. Cuba’s cooperation cannot be counted upon to assist the spurious mandate of any envoy, representative or rapporteur imposed through force and blackmail. Cuba can be counted upon to cooperate, on an equal footing, with the Council and its non-selective mechanisms. Cuba’s cooperation cannot be counted upon to make silence and fail to speak out against the ruthless economic blockade that we have endured for over four decades, nor can it be relied upon not to demand the return to our Homeland of five pure and courageous Cuban youths that were fighting terrorism and are currently imprisoned in US jails unjustly and illegally. Cuba’s cooperation cannot be counted upon to relinquish a single principle. 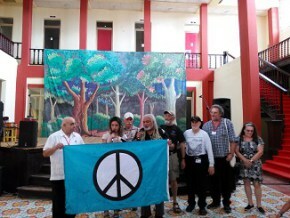 Cuba will always be counted upon to uphold the noble ideal of building a better world for all. Finally, on behalf of the Cuban people, who dream, build and defend their Revolution back in our Homeland, I would like to extend a special gratitude to our Third World brothers and sisters for their decisive support for Cuba’s election as a member of the Human Rights Council — and I hereby reiterate that the Cubans will never betray the trust that you have placed in us. For those who support Cuba’s struggle for its rights, which is also the struggle for the rights of all the nations in the Third World and the progressive and democratic forces in the First World, we have a message: Until victory onwards!